The University of Connecticut’s UConn Reads program has been created to bring together the University community – from students, faculty, and staff to alumni and friends of UConn, as well as citizens of Connecticut – for a far-reaching and engaging dialogue centered on a book suggested by the community. We invite you to join us in reading this year’s book of choice and, over the coming year, participating in the conversation through an exciting series of discussion groups and other events and activities hosted by the University. We look forward to what is sure to be a stimulating and fulfilling conversation. As in previous years, UConn students, alumni, staff, and faculty were invited to submit book nominations. The nomination process concluded in late May 2018. After considerable thought and careful consideration, the UConn Reads Selection Committee chose George R.R. Martin’s A Game of Thrones, the first novel in a multivolume series titled, A Song of Fire and Ice. Originally published in 1996, A Game of Thrones received immediate acclaim. Told from multiple points of view and focused on numerous power struggles, critics praised Martin’s narrative for its complex negotiation of familial conflict and politics. A Game of Thrones was the recipient of the 1997 Locus Award and nominated for the Science Fiction and Fantasy Writers’ annual Nebula Award. 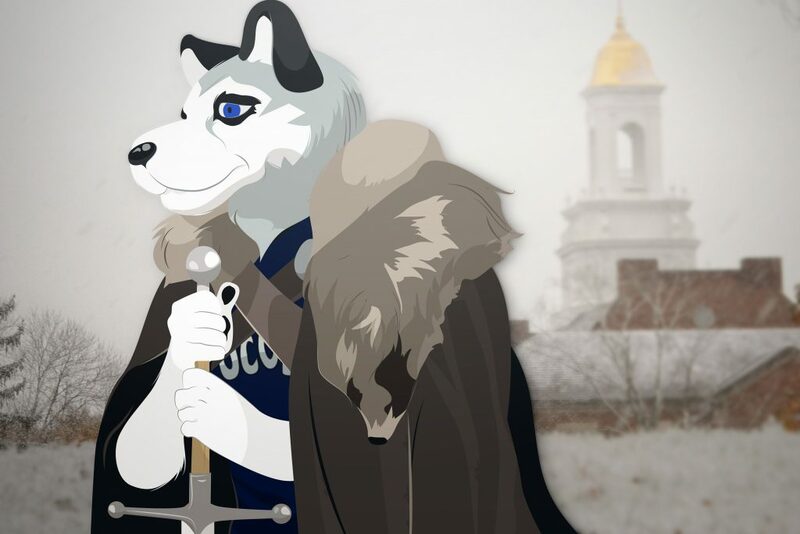 In 2011 — the same year that the UConn Reads initiative was launched by President Susan Herbst — the novel’s popularity was reinvigorated when it was adapted for the small screen (HBO’s Game of Thrones, which is ending its very successful run in 2019). Please stay tuned for what promises to be an exciting UConn Reads program — as always, the committee welcomes suggestions from the UConn community concerning possible events and features. Please direct those suggestions directly to the UConn Reads Selection Committee chair at the following email address: cathy.schlund-vials@uconn.edu.